This is the third post in a series looking at the new draft specifications for music. As mentioned at the start of previous posts in the series, this isn’t a comprehensive review of each specification but, rather, a first reaction to each. You can see the other posts in the series by clicking here. Today is the turn of Edexcel’s GCSE. There’s nothing wrong with this familiarity. To use the words of a contributor to last night’s MufuChat, however, it seems a little like a “missed opportunity”. The appraising exam is divided into two sections, the first of which seems to be a pretty standard listening exam (mixing set and unfamiliar works). The second section asks pupils to write a comparison between one of the set works and an unfamiliar piece. I do wonder if the Ofqual requirement to have unfamiliar music reduces the relevance of set works. Are the traditionally perceived benefits still there if there’s also unfamiliar music? Are we asking pupils to demonstrate two different types of musical understanding? Definitely some thought required here. During last night’s MufuChat, Anna Gower, described these set works as “tokenistic” and I have to agree. I’m finding it hard to see these as a genuinely useful combination of pieces for students to learn about. Of course, the unfamiliar music requirement will mean that pupils will be exposed to a lot of other pieces but the groundwork doesn’t seem entirely convincing to me. On another note, it’s interesting that fusion seems to be making a comeback from its hiatus between specification revisions! In terms of a first reaction, I’m really leaning on the side of ‘nothing to complain about’. It would appear that Edexcel has gone for the ‘does what is says on the tin’ approach and, in many respects, it’s important to have a choice that fits into that bracket. 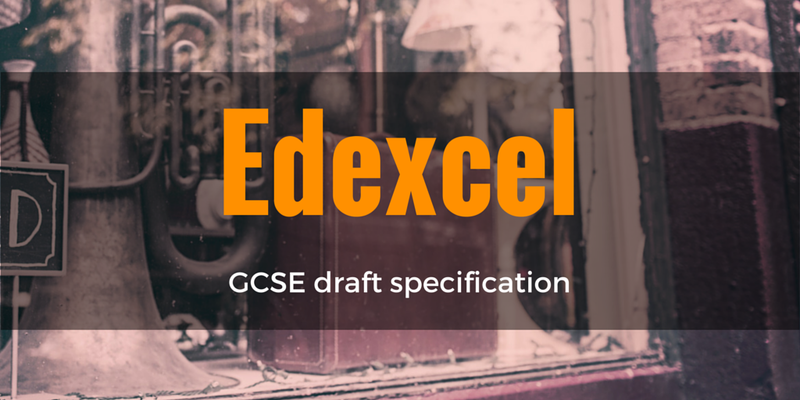 Schools who want to feel a sense of continuity between specifications may well find that Edexcel sits well with them.